Tavolo XZ3 is a rectangular dining table of the Italian manufacturer Magis. The table top lies on an extravagant frame out of round steel. With a length of two meters and offers enough space for several people. The design was coined by Studio Tecnico Magis. The table top of the Tavolo XZ3 consists of MDF. This half-thick fiber board is covered with a polymer foil during the manufacture and is 28 millimeters thick. The carrying frame consists of steel rod and it is available whether chromed or white lacquered. The ends of the frame are covered with plastic so that the floor won’t get scratched. 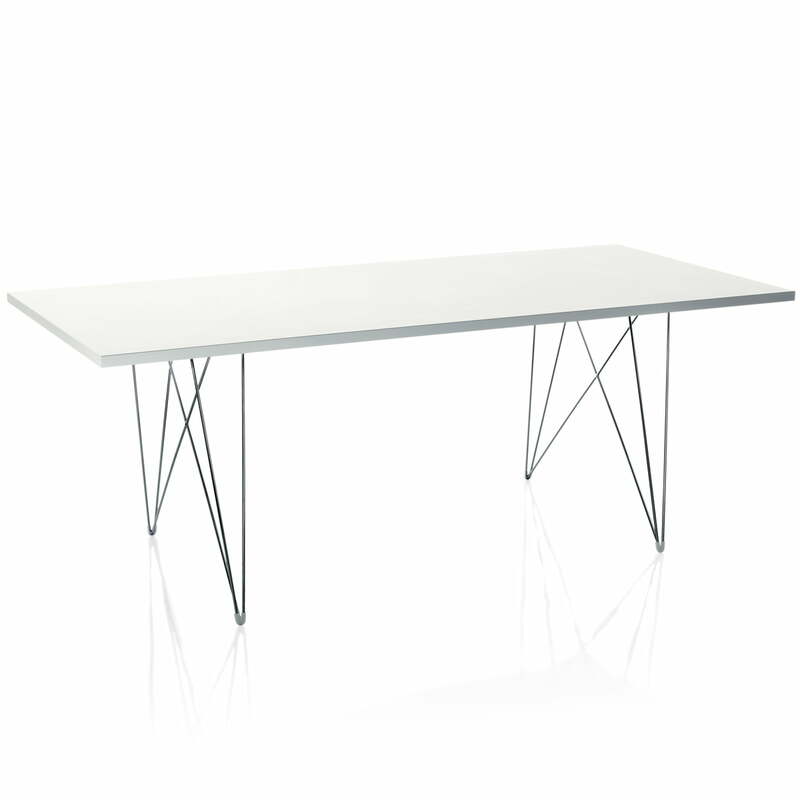 Magis also offers the Tavolo XZ3 in a rectangular and a round edition.